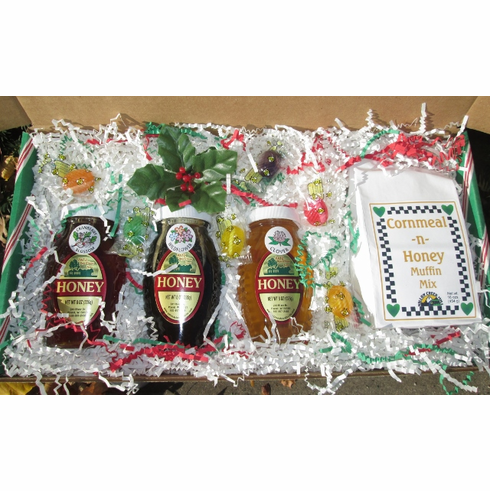 Honey gift box filled with 16 oz. cornmeal-n-honey muffin mix, 8 oz. clover honey, 8 oz. 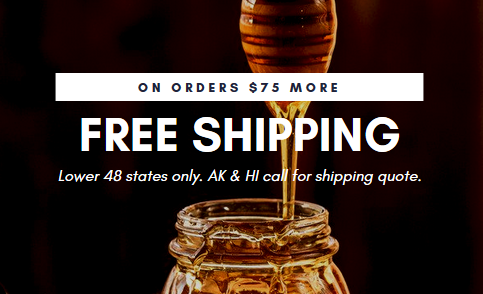 wildflower honey & 8 oz. cranberry blossom honey.